Use these cold months to add maximum size and strength with the most effective exercises known to man. 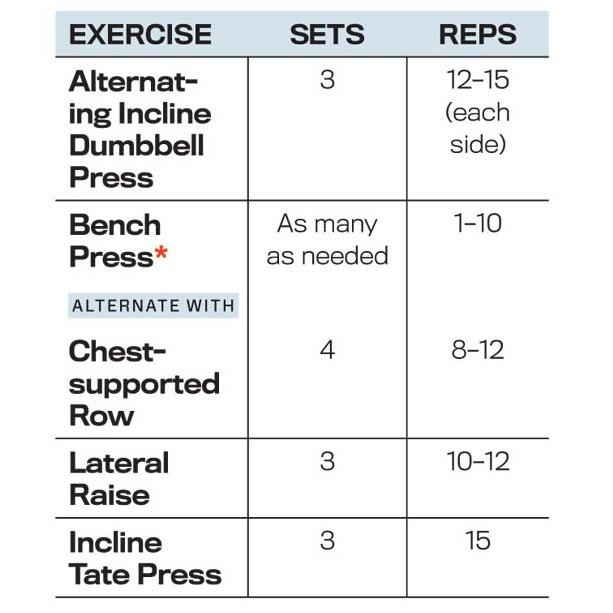 *For more on the Bench Press Variant, check out our Variations video and instructions. Note that some exercises are alternated. This means you’ll do one set of the first lift, rest, then one set of the second lift, rest again, and repeat until sets are complete. Set a bench to an incline and lie back with a pair of dumbbells locked out overhead. Flare your elbows out and lower the weights in toward your chest.